I like to believe that I’m passionate about a lot of things in the world, but the two causes closest to my heart are the Jewish Federations of North America (JFNA) and the Jewish day school movement. I have had the privilege of being a Federation professional, a Federation campaign chair, a Federation board president and a National Women’s Philanthropy chair for JFNA. Having traveled the world with JFNA, I can say without question that our Federation system is the most important, far-reaching, impactful Jewish charity in the world. Our North American annual campaign of nearly $900 million raised year after year is the envy of every other charitable organization (even though we complain – and we of course always need more). And with those dollars, with our partner agencies and our thousands of volunteers, we touch and enrich and literally save millions of lives in our local communities, in Israel and in just about every country in the world. Although I never had the good fortune to attend a Jewish day school myself, I did have the privilege of giving that gift to my three children, who each attended day school from grades K-12. I have had the honor of starting a new day school from scratch and of being president of not just one day school but two. And I can say without question that day schools have nurtured our Jewish communities for generations. Day schools attract talented rabbis and top-notch Jewish educators, so important for those of us who live outside of big Jewish communities. Day schools immerse entire families in exploring our tradition in ways that can never be replicated in a few hours here and there. And most importantly, day schools produce the most proud, knowledgeable, and committed young Jews – young Jews who can intelligently challenge anti-Israel rhetoric on college campuses, who can walk into a synagogue anywhere in the world and feel comfortable, who can speak Hebrew like natives, and who live their lives guided by the Jewish principles embedded in their souls. This is where my two passions collide. It is precisely these young Jewish day school graduates who are most equipped to take our professional and philanthropic places around the Federation table and in the Jewish community at large, making an impact on the entire world. But we don’t have enough young people graduating from Jewish day schools to take on those roles that ensure a strong future for the Jewish people. Our day schools are not attracting the numbers that will result in the next generation of professional and philanthropic leadership. This challenge affects both day schools and federations and requires action from both institutions. The federation-day school partnership is the key to ensuring a strong Jewish community for years to come. I sometimes sense that people are disappointed when I tell them that no single event or speaker can engage a person in a meaningful way for the long term. Not even the Birthright experience lasts forever. The best way to engage Jews in a meaningful way, I believe, is through our Jewish day schools. As members of a Jewish community, we need to ensure that more families want to send their children to day schools, and more families are able to able to do so. We have to figure out a way to make our day schools better than any public or private option available. We have to make our day schools affordable and financially viable. We have to make our day schools the coolest places on earth to be. Jewish Federations across North America allocate more than $32 million a year to Jewish day schools. But are we strategically investing in day schools? Or are we just “giving what we gave last year” because that’s what we do every year? Having sat on many Federation allocation committees, I believe it’s all too often the latter. I’d like to propose a new model, which incorporates some outstanding initiatives undertaken in various Jewish communities. I’d love to see Federations partner with local philanthropists and local Jewish community foundations to think about strategically investing in their local day schools above and beyond the annual allocation. Investing in a way that will allow and encourage all Jewish children and their families to consider a day school education. Investing in cutting-edge educational initiatives. Building “Mega Endowment” funds to support day school excellence and to help lower tuition across the board, especially for middle-income families. Investing in marketing and promotion of local schools. Offering communal tuition incentives, community academic and sports scholarships. The list is endless – and exciting! – once we decide that day schools are the richest way to ensure our future. As a philanthropist, I have witnessed so many examples of lives being changed as a result of the contributions and vision of a community that puts values at its core. Day schools and Federations are such natural partners in that they both focus unflinchingly on the future. It has been a personal honor for me to nurture my passion for these two institutions and to see the potential and rewards when they collaborate. 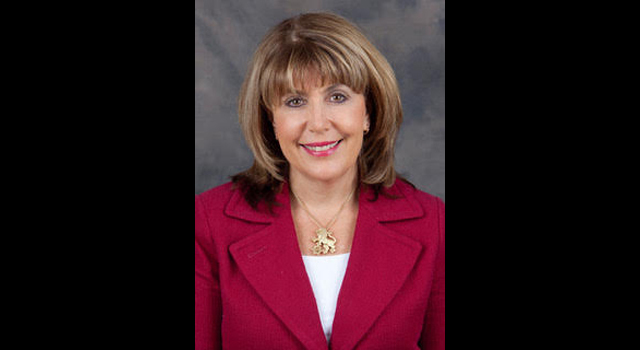 A resident of West Hartford, and formerly of Springfield, Mass., Ann Pava is acting chair of Prizmah’s Board of Directors. She also chairs JFNA’s Jewish Education and Engagement Committee. board@prizmah.org. Reprinted from the Summer 2018 issue of HaYidion, the magazine of Prizmah: Center for Jewish Day Schools.